The Hawaii Pet Expo 2004 was held this weekend at the Blaisdell Center Exhibition Hall. 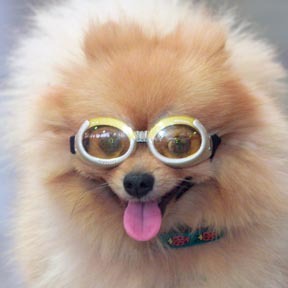 Chopchop, a Pomeranian, sported a pair of goggles, designed to protect its eyes from debris and ultraviolet rays while it sticks its head out of the car window, explained owner Florence Calica. »Gaspar seeks closure in D.C.